Explore luxury destinations in rich and engaging ways you never thought possible. 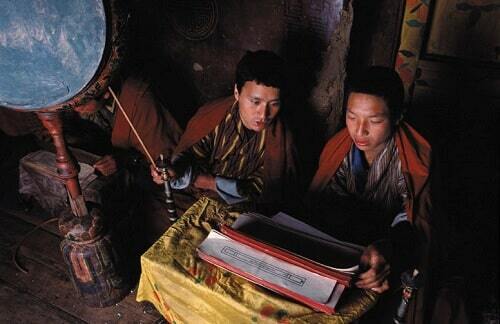 Cultural Tours are in essence the best way to experience the charm of vibrant, beautiful Bhutan. Come to the “Land of the Thunder Dragon” and sway your inner peace of mind with cultural Tour packages. Travelling to the tiny Himalayan kingdom of Bhutan can be an experience of a lifetime. This small country opens up to many wonders and fascinations including unique architecture, vibrant tradition and culture and a pristine natural environment. A plane ride to Bhutan is still considered one of the most enjoyable in the world as you are treated to the sights of the mighty snow-capped Himalayan range, which has some of the worlds’ tallest mountain peaks. 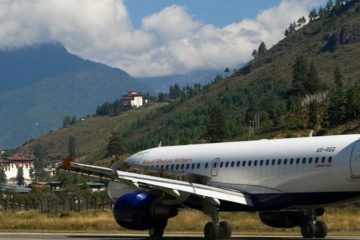 The plane lands in Paro, Bhutan’s international airport. Paro is one of the most beautiful valley in the country. The valley is dotted with ancient monasteries and sacred pilgrimage sites. Temples and prayer flags are common scenes in the valleys of Bhutan. One of Bhutan’s most iconic temple is located a few kilometers from the Paro Airport. The temple known as the Paro Taktshang (Tigers Liar) was built in the eighth century on the face of a cliff. It stands right on the edge of a vertical cliff and is considered one of the holiest sites in the country. Tourists visit the temple every day to catch a glimpse of the architectural wonder. 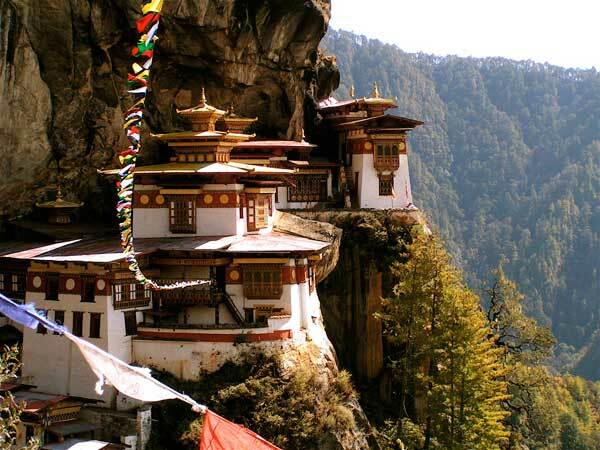 Places to visit in Bhutan. Bhutan Cultural Tours showcases the various traditions existing in the country. Cultural Tour packages take you to different regions with different dialects, dresses and living culture. Bhutan has a population of less than a million, but its culture is varied. Across all the places to visit in Bhutan, cultural diversity exists however it is with oneness in nationalism. 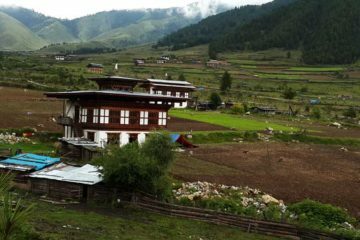 Bhutan Cultural Tours and cultural Tour packages with Luxury Tours familiarize you with cultural aspects in addition to scenic beauty. According to legends, the Indian Tantric Master Guru Padmasambhava rode on a flying tigress to the site. Guru Padmasambhava is said to have meditated on the spot where the temple stands today. 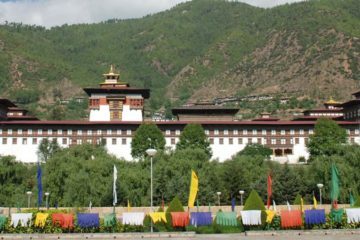 From Paro, it is a 45 minutes drive to the capital city Thimphu. 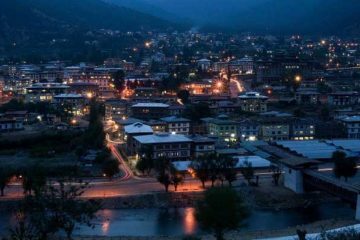 Thimphu is increasingly catching up to the 21st century development. However, its tradition and culture still remain vibrant. Thimphu Tshechu or the festival of mask dances, which takes place early autumn, is one of the most attractive festivals to witness. Thousands of tourists visit Thimphu just for the purpose of witnessing the Mask dance festival. Travelling to the central and eastern parts of the country usually happens by way of road, although in recent times, domestic flights connects the few places in east, south and central Bhutan. Bumthang, located in central Bhutan was one of the most powerful states in ancient Bhutanese history. While Guru Padmasambhava visited Bumthang in the eighth century to settle a dispute between two rival kings. Bumthang has also many holy sites and pilgrimage places. The famous Burning lake, or Mebartsho is located in Bumthang. 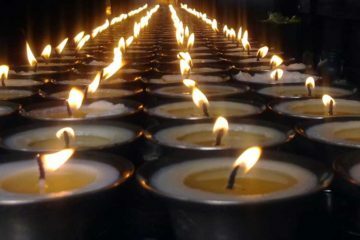 A Buddhist said, Tertoen Pema Lingpa is said to have dived underneath the lake from where he emerged from the water with several treasures and a lamp still burning on one of his hands, hence the name, Burning lake. Further towards the east, a traveler is treated to some of the most picturesque landscapes, rivers, valleys and lush green forests. Bhutan continues to remain a paradise for some of the endangered species in the world. Spring is the best season to travel to Bhutan when the land is clothed in beautiful peach blossoms and flowers of all color and varieties. The weather is much pleasant during spring.